It's Dr. Martin Luther King Jr. day. I'm working today but it's a floating holiday for ANTHC, which means we can take the day off anytime throughout the year. Not a bad deal. I read a book a couple years ago by Hampton Sides called Hellhound on his Trail: The Electrifying Account of the Largest Manhunt in American History, an excellent book about the assassination of MLK. I definitely recommend the book to anyone who might be interested in learning more about the events leading up to and after King's assassination. Details are shared in the perspective of both MLK and of his assassin, James Earl Ray. 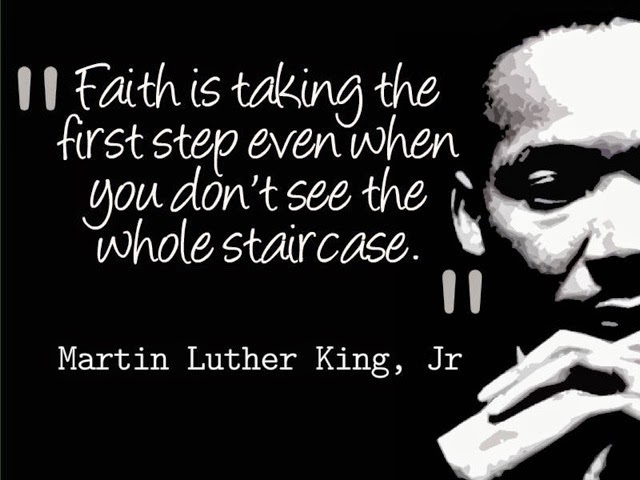 One of my favorite quotes by MLK provides a simple perception of faith.